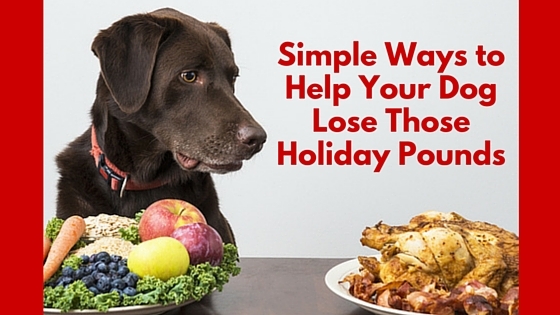 We all love our dogs and often indulge them in extra treats, snacks and even food from the dinner table. Unfortunately, we have to be careful what we give our dogs to make sure they maintain a healthy lifestyle and weight. Well, the obvious way is through proper diet and exercise. 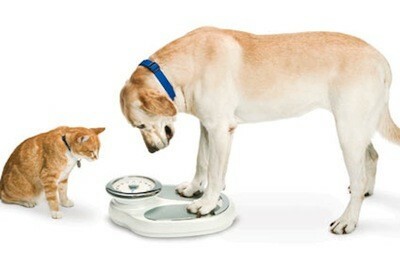 Check with your vet to rule out any potential medical issues, then get your weight loss program in order. We know it may be hard, but with a few changes you can both get through this. Here are some tips. Remember weight gain is simply that the dog is taking in more calories than they are burning off. If your dog isn’t grossly overweight, most of the time the problem can be solved simply by reducing the amount of food you give them. Reduce the daily amount of food by a quarter. So if she normally gets one cup of food, now she gets 3/4 of a cup. You can add some broth or water to her food so she feels like she got a nice big meal. Eliminate table food. Would you believe that an ounce of cheddar cheese for a twenty pound dog is the equivalent of a human eating two and a half hamburgers OR one and a half chocolate bars! Exchange those doggie treats for a game of fetch or tug. Usually just your attention can be a huge reward. 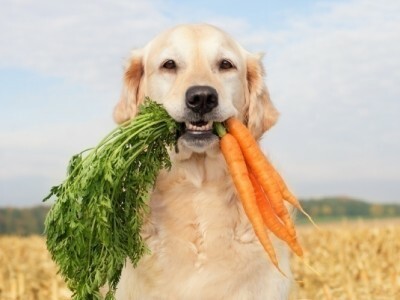 When you do feed her a little treat try to feed a carrot or green beans instead of a high calorie treat. My dog Bliss loves carrots and maybe your dog will too! Exercise will improve your dog’s muscle tone, metabolism, and weight. The sum of your dog’s weight is simple math. The number of calories consumed in their diet minus the number of calories used during their day, will determine whether they will lose weight or not. By developing an exercise routine, you will improve your dog’s metabolism and overall health. WALK! It will be good for your dog AND you. 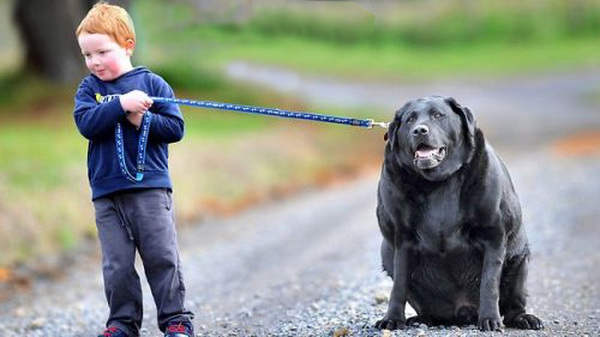 For some dogs a walk may not be enough….but it’s a good start. Play fetch with her while you read or watch TV. Arrange a dog play date with a friend. Enroll in a dog class (a fun dog sport like agility or even a manners class). Include your dog in weekend activities! Instead of her sleeping all weekend, take her to the ball park or go on a trail walk. Just keep her engaged in some activity. Teach your dog a few games like hide and seek (human or a toy can hide). Play a recall game (two family members stand apart and call the dog back and forth) or even fetch…anything to get her moving and burning those calories. No time to exercise your dog?? Bring her in to board for the weekend at Aunite Marlene’s. We’ll keep her busy and get her pretty tired. A recent study proves that dogs maintaining ideal body weight live almost two years longer (and with significantly less disease) than their overweight siblings. Make sure you have everyone’s cooperation in helping your dog achieve a healthy weight. Have your family refrain from giving Fido those extra table scraps and treats! Get them involved with getting him moving to burn those calories! This will be a lifestyle change and can take 6 to 9 months to achieve a normal weight. But, stick to the diet faithfully and you WILL see results with a sleeker, shinier, more playful and happy companion.